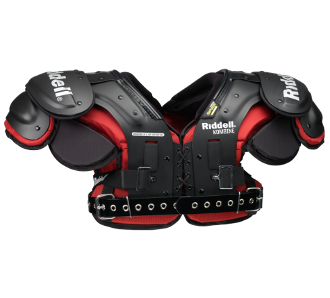 The Riddell Kombine Adult Football Shoulder Pads – Linemen are a perfect choice for the high school lineman looking to get in a nice fitting pair of pads with high end features without breaking the bank. Recommended for both offensive and defensive linemen, the Kombine Lineman Shoulder pads are designed to endure the dirty work in the trenches all while being lightweight and flexible. Designed with similar attributes to the higher end shoulder pads the Kombine product line offers you a great product at a fraction of the price!